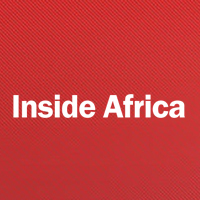 CNNI has announced Soni Methu has joined the network as the host of the Inside Africa program. CNN International today announced that Kenyan journalist Soni Methu is the new host of the network’s longest–running feature programme, ‘Inside Africa’. In her role on CNN’s award-winning weekly show, Methu will present from countries across the continent to take viewers on a journey through Africa, exploring the true diversity and depth of different cultures, countries and regions. Methu’s first journey begins on Friday 1 August at 1730 BST in the southern part of a country known for its friendly people as the “Warm Heart of Africa”, Malawi. Here, Methu and the ‘Inside Africa’ team meet a traditional healer developing herbal remedies in a rural village and learn from locals how to prepare Nsima, a staple food in Malawi. She also visits the Liwonde National Park where she finds abundant populations of elephants and birds along the Shire River. The programme concludes with a trip to Lake Malawi, home to many species of fish found nowhere else in the world. Methu joins CNN International from ENCA and E News Africa, where she was East Africa correspondent for two years, reporting from hotspots Mombasa and Nairobi, including covering the Westgate Mall terrorist attack. During her career with ENCA she also reported from Somalia, South Sudan, Rwanda, Uganda and Tanzania, and was central to breaking key stories for the channel.